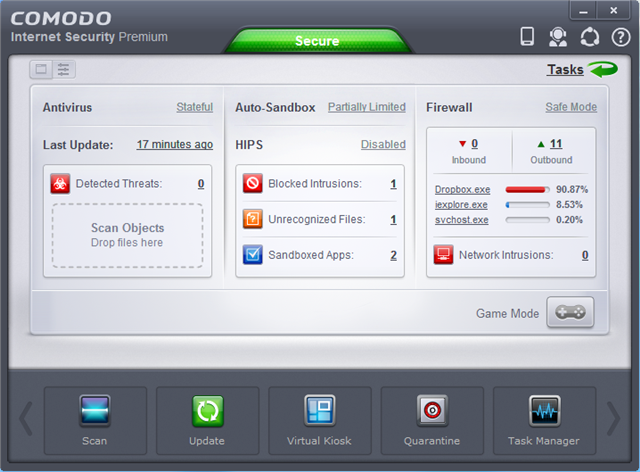 Comodo has announced the public availability of Comodo Internet Security 6.2, Firewall 6.2 and Antivirus 6.2. Comodo Internet Security 6.2, Firewall 6.2 and Antivirus 6.2 are more than just maintenance releases– there are some genuinely significant developments. threats and intrusions, and more. completely isolated from your system files, further enhancing security. In a notable usability improvement, many grids throughout the interface now support search and multi-selection. GUI performance is now better when opening main dialogs, while improved touch screen support helps you navigate more easily. company says this release addresses more than 300 issues overall. This looks like one essential update, then, and downloads for Comodo Internet Security 6.2, Firewall 6.2 and Antivirus 6.2 are available now.